What football fan over the age of twenty hasnt heard of Shoot ? 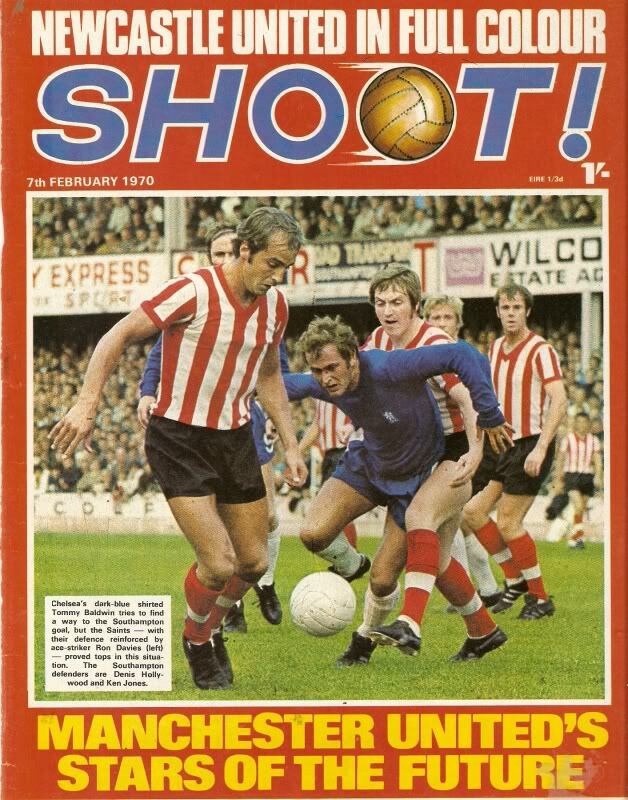 Probably one of the most well known football magazines, it was launched in 1969 and grew into one of the most colourful and informative football magazines ever. One of its more famous features was the "You Are The Ref" feature which recreated several scenarios and challenged you to correctly identify what the decision should be. In fact we have set up a page dedicated to these strips which you can visit by clicking on the banner below. Another innovation that Shoot was loved for was the free gifts it gave away, most famous of all being the "League Ladder", a brilliant little gadget that involved collecting the appropriate parts over a few weeks period (what a good marketing ploy!!) and allowed the collector to move the team tabs around the league ladder to mirror the real life tables. Shoot was unfortunately closed down in 1980 following some serious competition from the likes of Match and Match Of The Day magazines. Its initial response to the competition had been to switch to a monthly format, however Match then almost halved their retail price and cemented their superior circulation figures. IPC were left with no choice but to close the magazine although it has now been relaunched as an online magazine - not quite the same excitement as running to the corner shop to get the latest copy but there you go, technology moves on ! !